My beautiful best friend Lindsey is due to have her second baby anytime now and having had a difficult pregnancy and little Lewis to run around after I thought she deserved a nice relaxing day. Lindsey didn't want any big fuss made, just her closest friends together having some afternoon tea. 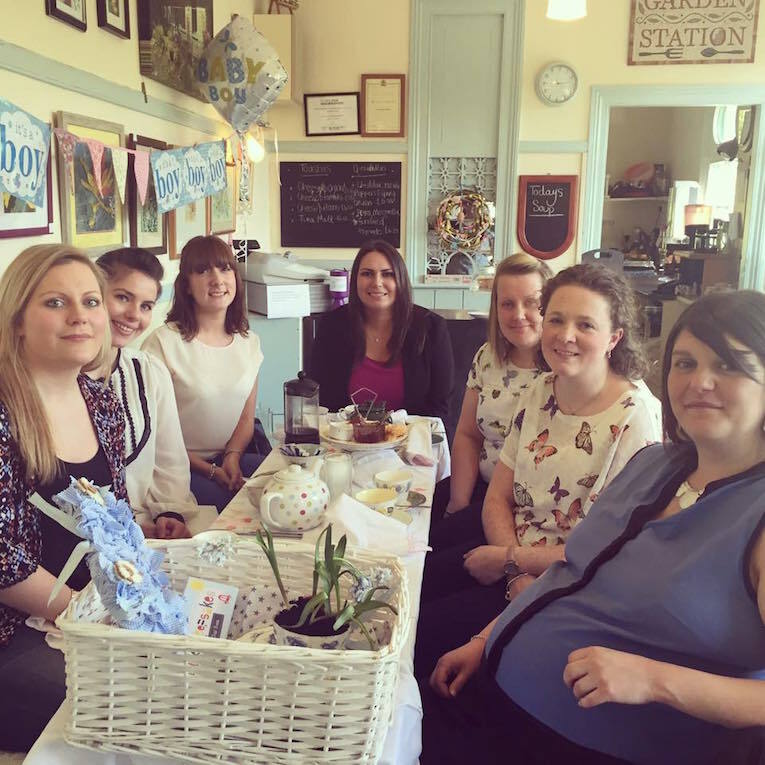 The Garden Station was my choice of venue as it is such a gorgeous, personal place for lunch and ideal for a baby shower. The Garden Station is nestled in the countryside of Langley near Hexham; the grounds are stunning and the tea room is the old Langley railway station, the gardens are the old railway tracks. It is owned by a lovely lady and everything is homemade and very tasty. They did a great job of making the day perfect for Lindsey, they put up decorations and organised a gift package for her. This had a cute handmade heart decoration for the baby, a keepsake box set and a teacup plant which I can't see lasting long that with Lindsey (sorry Linz)! You could tell that so much thought had gone into the present and Lindsey loved it. The actual afternoon tea was delicious, we had a sandwich each followed by a scone with cream and jam and finally a piece of cake. The portions are a great size and just the right amount, I didn't actually take photo's of the food as I was too excited about eating it, oops!All the teacups, plates and cutlery are antique and old fashioned which I love. The present giving came next. I get more excited watching other people open presents than I get when I open presents. Buying baby clothes is so much fun, my friends need to keep having babies as I don't want one myself just yet! So overall it was a great day and just what Lindsey wanted. I would recommend this place to anyone and I believe it is worth travelling to. They also do weddings which look amazing if you take a look on their website.